Would it be very difficult to imagine that a nation would employ an entire agency of Internet trolls with the sole purpose of creating chaos? 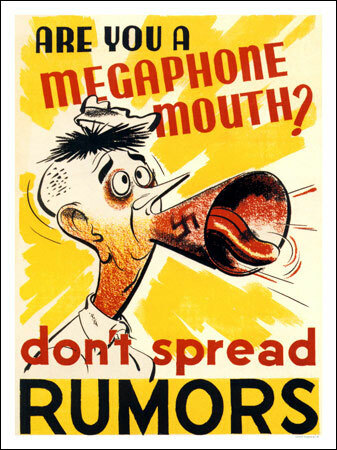 We know from history the propaganda machines and how misinformation was employed on all sides during war times. However, today the art of starting rumors has ascended (or better to say descended?) to a level of pure science. Recently, The New York Times published an amazing article that exposes a large effort based in Russia for the purpose of creating havoc in American communities. They utilize social networks such as Twitter in their dirty work. CLICK HERE to read the NYT article. It seems as if everyone want to make something that “goes viral” on the Internet. Someone videos their cat playing a keyboard or their baby laughing. Most likely it could be something embarrassing. At the same time, there are bad people and evil entities out there who use good technologies to spread chaos and distractions while using innocent people to “share” this chaos. Rumors can also spread like wildfire on the Internet. Wouldn’t it be fantastic to be able to separate truth from rumor if just for the sake of not wasting time? Not only a waste of time, but those damaged reputations that can end relationships and prevent being hired by a good company. Recorded Future, an American software company, has found another use for their threat detection software. It can actually realize a hoax within the blink of an eye. They found three criterion that indicates what is fake from what is real. The Russian agency that creates fake breaking news about a fake disaster within the United States has been thwarted by the American software. But how to integrate this with Twitter and other social networks in order to instantly stop this information terrorism? That will only get better as time progresses. The moral of the story is to always check other references when you find something on the Internet or has been emailed to you. Don’t take anything at face value. Even the news media can be occasionally duped in their zeal to be first. In my own experience many years ago, I have a distant relative who had information gleaned from his rural church website. (NOTE: We did not host that website) This Christian minister was used to attempt to dupe people into believing he and his family was stuck at a foreign airport because he lost his passport. The email went to his friends requesting money to be wired. Fortunately, one of those friends called the minister’s cell number to ask what was the matter. The minister told his friend he was actually at home. So checking first saves a lot of future grief and loss of money no matter how good a samaritan you are. Business Insider has a good article on this predicting software and how it is defeating the Russian agency of chaos as well as other evil entities out there. CLICK HERE to read that article. At tse.net, we are always geared for prevention first. Our clients enjoy an environment of safety which we have created based on two decades of Internet experience. Our advice? Look before you leap. Stay safe. Think twice.